Kids can easily make one of the most beautiful Easter egg crafts without needing paint (sometimes it’s nice not stay relatively mess free). 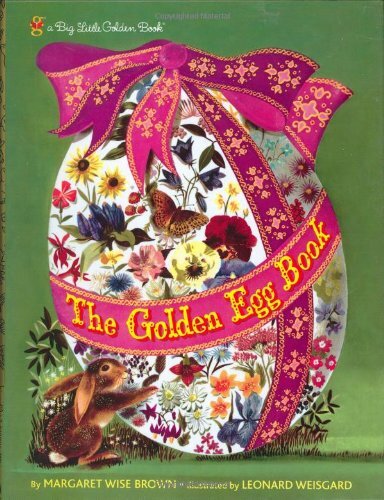 No two eggs will turn out exactly alike and each Easter Egg Doily Craft will look intricately decorated like a fancy egg straight out of the book Rechenka’s Eggs. If you don’t have the book you should still come craft with us because these eggs will look beautiful added to any Easter decorating you plan on doing. 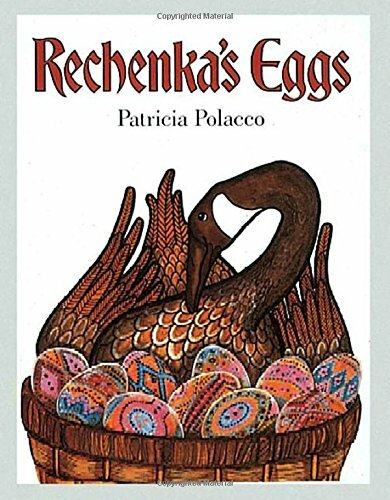 Patricia Polacco was one of my mom’s favorite authors as a kindergarten teacher and I’m so excited my kids are finally old enough to sit through Rechenka’s Eggs (affiliate link) because it’s such a beautiful story! The pages share the beauty of a country far away and the tradition of egg decorating that started long ago. 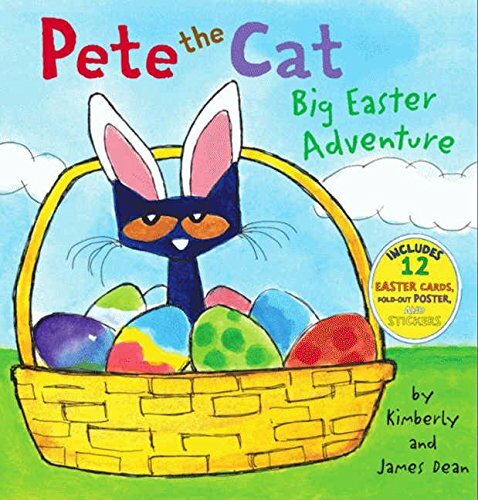 It’s one of my favorite books by Patricia Polacco because of its sweet message of friendship, forgiveness, and love (seems fitting for Easter). My kids studied each page in detail and were so excited for Babushka and Rechenka surprise during the last pages of the story. Trace out an egg shape on the craft paper and have child cut it out. (To make a symmetrical egg fold a piece of scratch paper in half and draw half an egg, cut it out, unfold the paper, and use as a template). 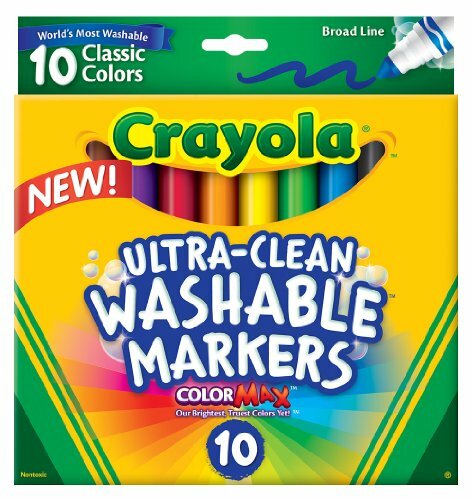 Have child color doily with markers being careful not to rip the doily . 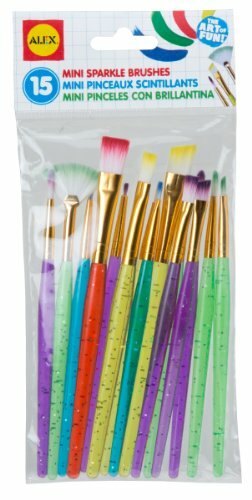 Next have them carefully brush water on the doily with the paint brush so that the marker runs like water colors and set it aside to dry. Little Dragon decided to color his face (this is where the earlier comment of “relatively” mess free comes into play). The good thing is we used washable markers and I had some Huggies baby wipes on the table to wipe him clean. Little Tiger decided that after she had used marker she wanted to use water color paints on her third and fourth Easter egg. Can you tell which ones she used actual water color paint to decorate with and which ones she used marker and water paint? 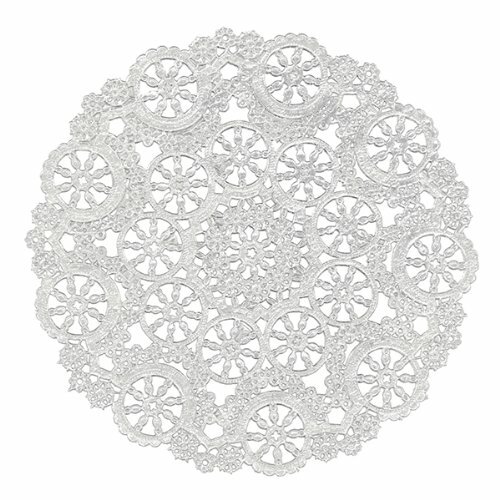 Trace the craft paper egg onto the doily and cut out the doily. 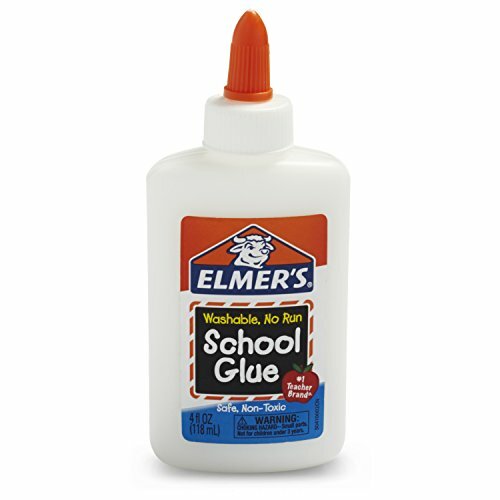 Have child glue the doily to the craft paper. 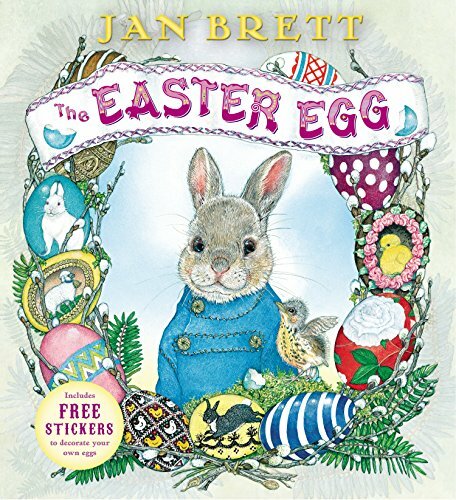 Since the Easter eggs were so easy to make my kids kept requesting more craft paper eggs and doilies so be prepared–you may be making a whole basket full of eggs just like the one from the book. We hung our eggs on the wall for the Easter bunny to see. 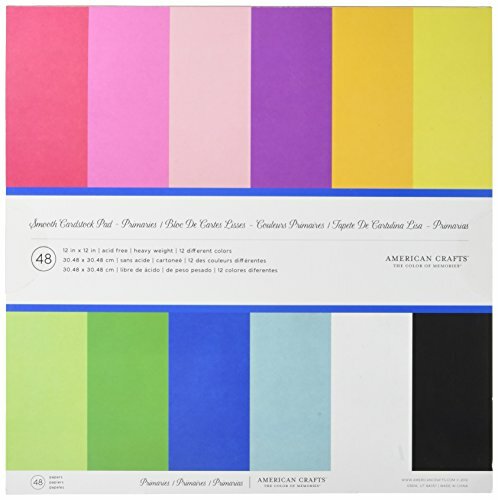 You could also turn them into lovely Easter cards by gluing them on a folded piece of paper. Such a cute and fun idea! I will have to look into the story book. I vaguely remember it. Thanks so much for sharing! Hi Catherine, Thanks so much and I hope you enjoy the book as much as I do. Have a great day!